Ilkley, UK – The future of grouse shooting on Denton Moor will be reviewed as part of an environmental drive by owners, NG Bailey. Engineering firm NG Bailey is set to launch a review into the future of grouse shooting on Denton Moor, as part of a wider drive to increase environmental conservation within the grounds of its headquarters near Ilkley. The initiative has been welcomed by Ban Bloodsports on Yorkshire’s Moors (BBYM), which recently provided the estate’s representatives with evidence on the negative impact grouse shooting is having on wildlife, habitat and reputation of the Nidderdale AONB in which it falls. Denton Moor has been at the centre of controversy as a consequence of grouse shooting being permitted. Specialist breeding birds, including, hen harrier, merlin and marsh harrier, have become absent, despite these species having made nesting attempts in recent years. North Yorkshire Police has records of at least 7 birds of prey being poisoned or shot on or within the immediate vicinity of the estate since 2010, including the high profile case of tweed-clad gun-men targeting marsh harriers in 2017. In addition peatland has been burnt and drained in order to further game bird shooting objectives. 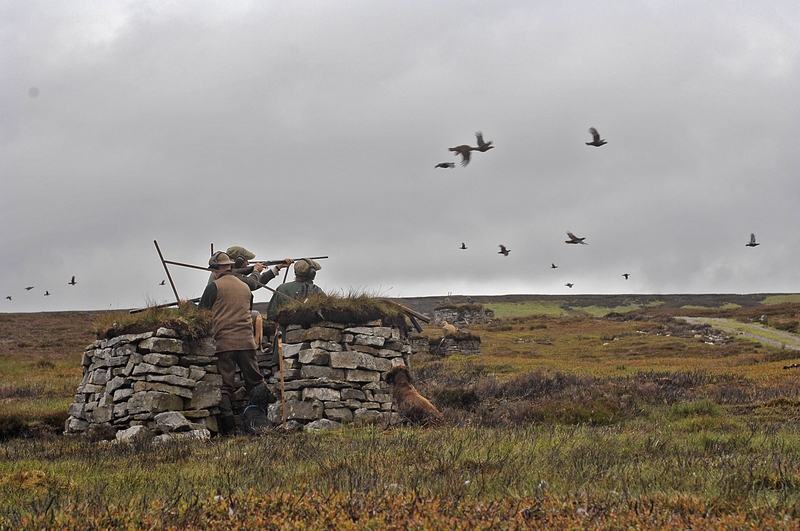 Luke Steele, Spokesperson for BBYM, comments: “NG Bailey’s fresh drive to boost environmental protection on its home estate, including through reviewing the future of grouse shooting on Denton Moor, is highly commendable. By seeking out new opportunities to enhance wildlife and habitat conservation in this beautiful part of the region, the estate has demonstrated a commitment to ensuring its environmental policies are fit for the future. The Denton Park Estate is not the only landowner in Wharfedale to consider the future of grouse shooting on its uplands. Last month, Bradford Council ended the practice on Ilkley Moor, following strong evidence showing the negative impact the practice has had on wildlife, habitat, visitors and the regional economy.